"Historical Fiction at Its Best!" 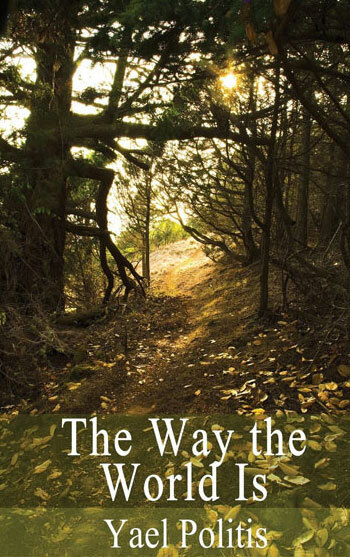 1944, British Mandate Palestine, Tonia’s parents take her and her brother and sister to live on Kfar Etzion, an isolated and struggling religious kibbutz south of Jerusalem. Fifteen-year-old Tonia does not believe that her father’s dream – a sovereign Jewish state – will ever come to be. Life on the kibbutz is harsh, and Tonia dreams of security and a little comfort, though material wealth for its own sake is not what she longs for. She wants something simple – to bring up her children under a roof of her own, in a place where they won’t feel constantly threatened. She is determined to seek this different life in America, as soon as she is old enough – even though that means turning her back on her love for Amos Amrani, a handsome young Yemenite who belongs to the Jewish underground. 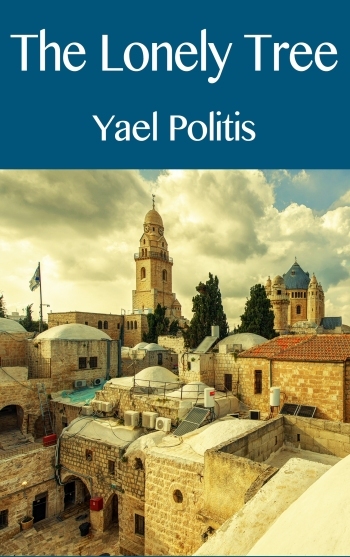 Much of this novel takes place in Kfar Etzion, during its establishment, siege, and fall to the Arab Legion during hostilities immediately prior to Israel’s War of Independence – resulting in the massacre of its surviving defenders. A later part of the story is set in Grand Rapids, Michigan, where Tonia tries to find her new life. 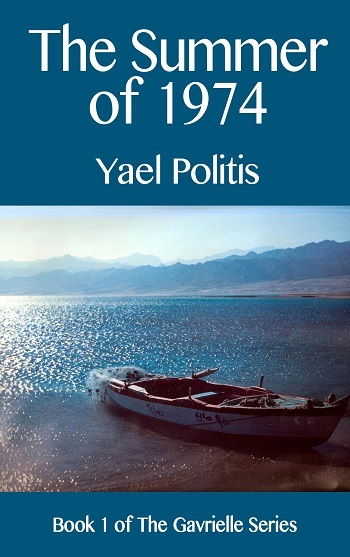 This is one of very few English novels that take place in British Mandate Palestine and the only one that tells the story of Kfar Etzion. While the characters are fictional, historical events are accurately portrayed. The Lonely Tree, however, does not read like a history book. It is a character-driven love story with no political agenda. The Lonely Tree of the title still stands today. The day that Tonia Shulman first noticed Amos had begun as an ordinary one. When her tenth-grade Civics class – and the school day – finally ended she stretched and looked at her watch. 'Feel like going to Café Atara for coffee and cake?' Ilana Rozmann swiveled in her seat to face Tonia. Tonia shook her head. 'Can't. No time.' She had heard that the gooey chocolate cake they served was delicious, but she had to catch her bus back to the kibbutz. Besides, she had no money. Ilana shook her wavy blonde hair and ran the fingers of her right hand through it. 'My treat,' she offered. Tonia felt her face flush as she stood up. 'No. Thanks, but I can't. Have to work today.' The last thing she wanted, today of all days, was Ilana Rozmann, or any of the Rozmann family, paying for anything else for her. Ilana slid sideways from beneath the battered, ink-stained wooden desk. 'More fields to clear?' She raised her eyebrows and stared at the scrapes and cuts on Tonia's hands. Olivia wants the 80 acres in far off Michigan that her father left to whichever of his offspring stakes a claim. As she says, “I’m sprung off him just as much as Avis or Tobey.” The problem: she’s seventeen, female, and it’s 1841. Mourning Free knows how to run a farm and Olivia has complete trust in him. The problem: he’s the orphaned son of runaway slaves and reluctant to travel and work with a white girl. He especially fears the slave catchers who patrol the free states, hunting fugitive slaves. Not without qualms, they set off together. All goes well, despite the drudgery of survival in an isolated log cabin. Incapable of acknowledging her feelings for Mourning, Olivia thinks her biggest problem is her unrequited romantic interest in their young, single neighbor. Then her world falls apart. Strong-willed, vulnerable, and compassionate, Olivia is a compelling protagonist on a journey to find a way to do the right thing in a world in which so much is wrong. In the 19th century a wagon couldn't cross Pennsylvania without circumventing the worst of the Ridge-and-Valley Appalachians. Despite the breathtaking beauty of the lush green mountains, travelers gave a prayer of thanks when they finally made it past the Allegheny Front. There the plateau fell to the lowlands, into what some folks still called Westsylvania. Flat ground had never looked so good. Some of those wagons later took a wrong turn and clomped across a charming covered bridge. Thank the good Lord Almighty, those drivers thought. Nice bridge like that, there must be a town ahead. And there was – Five Rocks. It offered one of everything they needed – Livery, Feed & Grain, General Store, Saloon, Doctor, and Lawyer – along with a choice of three churches. But none of these accidental visitors (for no stranger came to Five Rocks by design) stayed for more than a night. On their way out they clucked their tongues and wondered what on earth had possessed those folks to build their homes on what seemed to be the only ugly patch of ground in all of Pennsylvania. The few trees were gnarled and bent over, and not even weeds thrived in the hard-scrabble gray dirt. After the devastating trauma she suffered in Olivia, Mourning and finally knowing the reality with which she must contend, Olivia strives to rebuild herself – emotionally, socially, and financially. She starts a new life in Detroit, the young and exciting city on a river where she has come to feel at home. New friends help the healing process, while she continues to search for the two people she loves, who have disappeared from her life. She finds some solace in helping fugitive slaves escape over the river to Canada. She believes, as one of her new friends says, “In this time and place it is the most worthy thing a person can do.” Olivia remains a compelling protagonist on a journey to find a way to do the right thing in a world in which so much is wrong. Olivia Killion sucked in her breath and grimaced, waiting for the contraction to pass. Eighteen and unmarried, she was sitting at the bottom of the stairs in the home of Jettie Place, the woman who had been her father's mistress. A few more hours and it will be all over, she thought. I'll know She closed her eyes and prayed, Please God, let it be Mourning's. But how will Jettie react if the baby is colored? I don't care. Let her throw us out in the snow. It has to be Mourning's. Then she bit her bottom lip and forced herself to accept the other possibility. White or black, I am responsible for this helpless little baby. No one else is going to take care of him, stick up for him. Jettie rushed in and gathered up the blankets and pillow that lay on the steps next to Olivia. "I'm taking these out to the buggy," Jettie said. "I'll be right back. You sit there and wait for me. Don't you move. Them steps out there are fearsome slick." Whatever Happened to Mourning Free? 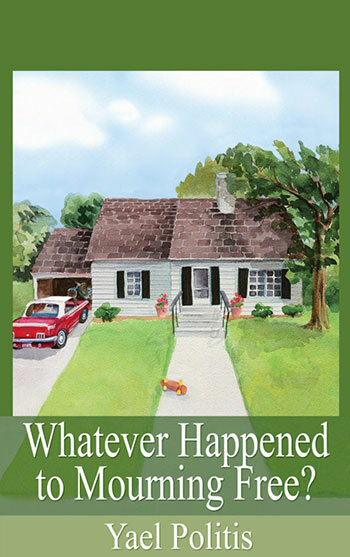 It's 1967 and Charlene Connor has just graduated from the University of Michigan – without her "Mrs." Her mother recently passed away and soon afterwards her father fled the silence to a new job on the other side of the state, so Charlene is going “home” to what is now an empty house. Two things make this long, hot summer bearable: Reeves Valenti – the high school sweetheart she left behind – and the lawyer who unexpectedly knocks on her door, bringing information about the woman she idolizes – her great-great-great Aunt Olivia Killion. Charlene can't wait to get Olivia's journals from him and finally learn what happened to Olivia and her friend and partner Mourning Free. She doesn't know that the answer to that question will deepen the connection she feels to Olivia and bring a new person – and a fundamental change – into her life. No. Just for fun, I gave Charlene the shell of my life. I grew up in the Foundation, attended Edsel Ford High School, and began my college education in Ann Arbor. So on paper, Charlene and I have a lot in common. In fact, am I anything like her? In my dreams. Still queasy and relieved to be almost home, Charlene Connor turned right onto Middlebury Drive. Her parents' empty house would feel sad and strange, but at least she'd have time to herself, peace and quiet to ask herself: What's wrong with me? There it was on the next corner – 32 Brookline Lane – the cozy little Cape Cod, white with black shutters. She used to tell her parents, "When I grow up you're going to have to move out. Me and my husband are going to live here." Now it was Charlene who would oversee the sale of the house – and she no longer wanted a husband nor to live in this quaint little subdivision. It is 1848 in Detroit, Michigan. Olivia and Mourning thought they had succeeded in creating a home of sorts. A credible lie conceals their secret and makes it possible for them to live under the same roof, together with their son. They have a means of support, they have friends, and they have each other. But something is wrong. This life has begun to feel confining and unsustainable. 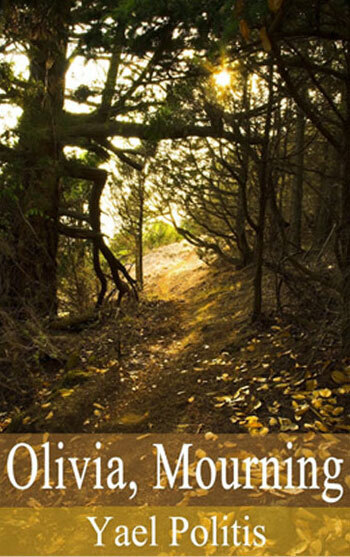 Mourning has to get away for a while and leaves Olivia to struggle with her own choices. Can they force what feels impossible to become possible and remain a family? Two strangers from opposite sides of the globe, both at a crossroads in their lives, meet in Rome. They could hardly be more different, so why do they feel so connected? Gavrielle Rozmann (daughter of Ilana Rozmann from The Lonely Tree) is on leave from a career in the Israeli army. After suffering loss and the general trauma of the Yom Kippur War she is also dealing with a personal crisis. Born an orphan, she has received information that a man in Florida might be able to help her find the father she has never known. Should she get on a plane for Florida? Instead, she boards one for Rome - for a vacation and time to think about how she wants to see the rest of her life. There she meets Charlie Freeman (from Whatever Happened to Mourning Free?). Charlie is a young African-American man who has just graduated from the University of Michigan. Charlene - the white woman whose family he lives with - has big plans for him. She believes he could become a true leader, following in the footsteps of Dr. Martin Luther King, Jr. But her plans have little to do with the future he envisions for himself. What better place for a student of art and architecture to take time for reflection than the open air museum called Rome? These two strangers seem to have absolutely nothing in common, but feel a surprising affinity for one another. As they take some unexpected side trips, they slowly discover they share a basic reality that other people may find difficult to understand. 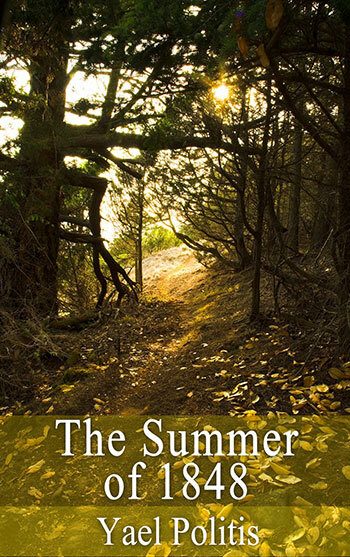 The Summer of 1974 draws you into the lives of believable, well-developed characters - people you care about, even when you may not approve of their actions. Though set in a specific historical/political context, this is a book about personal relationships - love, friendship, and family. Set in Rome, the Sinai Peninsula, Jerusalem, and Michigan. Ilana Rozmann kept her hands in her coat pockets as she tagged along behind her parents, on their way to lunch. The pockets were deep, allowing her to lovingly caress her swelling belly. Am I far enough along? She wondered. Is it too late for them to try and force me to get an abortion? I have to tell them sometime. Maybe I should do it today. They wouldn’t dare make a scene in the fancy-shmancy dining room of their precious Eden Hotel.